Bundles of up to 50 notes can be deposited in one go. 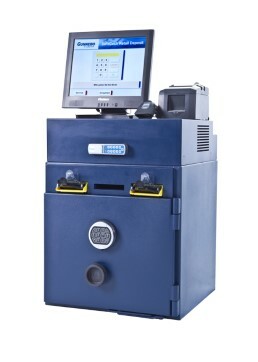 Double feeder system accelerates deposit speed. 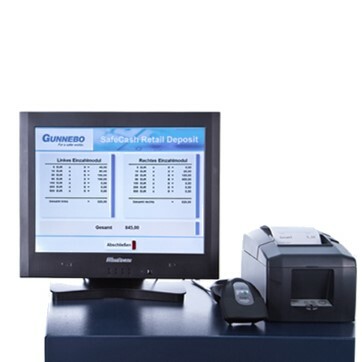 Notes are automatically registered and counted before a receipt is issued. As soon as notes are deposited, details of the amounts can be sent to the bank allowing your account to be credited that working day. 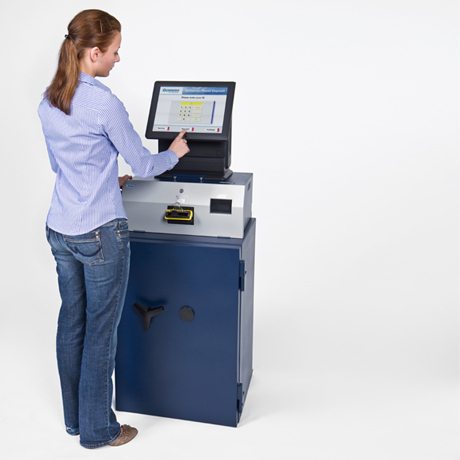 Identification via touch screen and PIN. User management allows different rights levels. 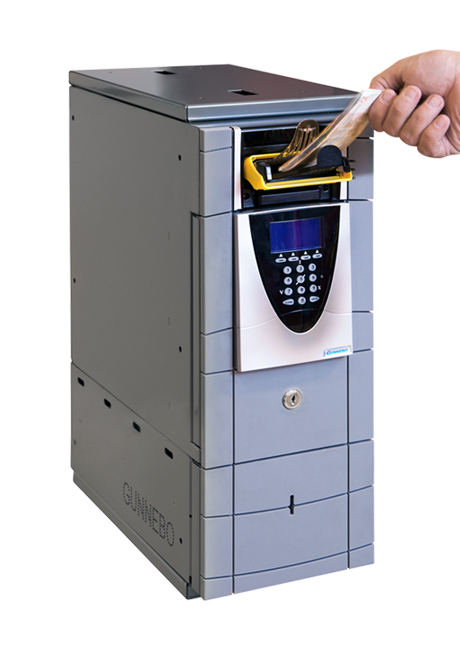 The real-time cash level of each safe can be tracked using Gunnebo’s web-based monitoring software. For convenient CIT pick-up, the notes are sent straight into a deposit cassette. Euro notes verified by a note recognition module tested by the Deutsche Bundesbank. 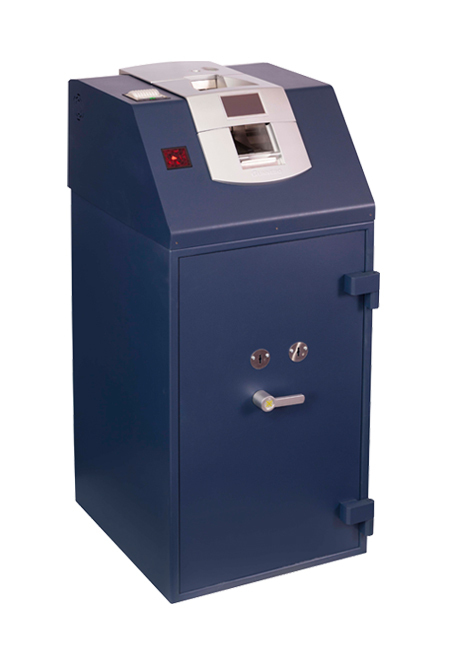 Deposits made into a UL safe with a mechanical or (optional) electronic lock. Deposit Speed: 50 notes per minute. 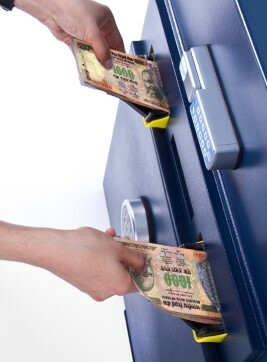 Deposit Method: Note bundles of up to 50 notes per feeder. Capacity: Up to 2,200 notes.